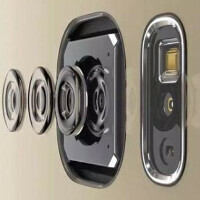 It is the first feature that phone buyers look for on smartphone cameras. And its inclusion on the specs sheet often brings a murmur of approval from knowledgeable smartphone fanatics. We are talking, of course, about Optical Image Stabilization, or OIS for short. This feature can make videos shot on a smartphone by the shakiest of people, look as steady as one shot using a tripod. This year, it has been Samsung's mid-range smartphones that have kept it on top of the industry's list of market share leaders in emerging markets. To keep demand high for its non-flagship phones in these regions, Samsung has reportedly decided to add OIS to the rear cameras that adorn both its entry-level and mid-range handsets. For example, the Samsung Galaxy A5 (2016) and Samsung Galaxy A7 (2016) will both include OIS. The feature made its Samsung debut with the Samsung Galaxy Note 4, which was launched last year, It has been reserved for Sammy's high-end models since then, although that is going to change. Besides OIS, another feature that will start appearing on the manufacturer's low and mid-range models is Samsung Pay. The mobile payment service is currently operating in South Korea and the U.S. and could expand to China, Spain and the U.K in the first quarter of 2016. Samsung has always been in boss mode. Nothing is surprise. The they will increase the price of their already expensive phones even the entry-level ones. Nice job. And some company doesn't even know how to integrate OIS in its high end smartphones yet. Interactive active mode and steady shot in Z3 /Z4/Z5 is actually better than OIS. So who cares even if they integrate or not. Specially excellent on the Z5. Right, that's why Sony A7 Mark II uses Interactive active mode and steady shot and not a 5-axis in-body mechanical stabilization, right?? You do know that A7 Mark II is a proper FF camera, unlike your mobile phones which pretends to have a camera. You would think if the so-called software stabilization was better, they would actually use it in their proper camera which costs cool $1,699 without any lenses. Sir, please tell us more..
Xperia Z line-up has always been overpriced. I appriciate them.. but there's no way i'll pay more just because of it's brand name. I ain't sheep! And don't get me wrong, i have owned z z1 z2 and now z3c, hoping for something better, but got the same dissapointing camera every year. They said z5 is gonna have a killer camera..... but no ois. With a tiny smartphone sensor you need ois. And their same Brick-like design. Steady shot or any kind of EIS only works in video, not in photos. It's impossible to implement in photos due to basic physics. Do you realise that Snapdragon 620 beats SD808? Google you picked the wrong time to scrub the Google play edition series. I'd kill for a galaxy s7 plus, no edge, with enyxos and 4gb of ram. Only software I want the choice of downloading from touchwiz are the music, video, and camra apps. Does the addition of Samsung Pay mean including MFT or only NFC? Its MST and it should be both. Well, that is the beauty of Loop Pay. Even without NFC, Sammy can go to MST and users will still be able to run the service. Regards, Alan F.
And what's even more beautiful is it's Samsung exclusivity.